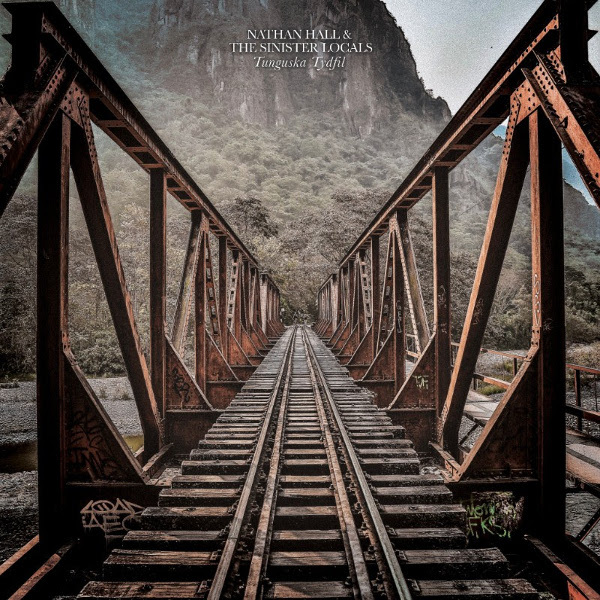 The Soft Hearted Scientists’ Nathan Hall has released a new album with his group The Sinister Locals. Announced back in May 2018 for a vinyl release, this album has been plagued with so many record plant production issues that Nathan has sworn off ever releasing anything else on vinyl again. The CD issue was released on September 7, 2018 and the vinyl finally came out in November. I am not sure what Tunguska Tydfil is, but it must be a hybrid Russian-Welsh location somewhere in Faerie. There are 16 songs that span about 35 minutes, many of them short snippets or sketches, involving harpsichord, ghost town piano, spoken word collages, and his signature Victorian fantasy-psych visions. Recorded in nightly sessions in their studio “The Sinister House” in Cardiff, Tunguska Tydfil is a wonderful listening experience. Some of the odder tracks on the album include the title track, a beautiful bucolic and poetic narrative invitation to this fictitious realm; “Carnival of the Damned,” a demented, deranged bolero; “St. Davids Bed and Breakfast Blackout Disaster,” a slow chord progression with the its song title chanted repeatedly; and “Song of a Sourpuss” with its sustained drones, wordless vocals, and recitation about witches. One of the best tracks is “Side by Side (Glowing Guide),” a Victorian fantasy conjuring images of William Morris’ fairies, as well as vampires and demons, plus its spiritualism lyric “Through life we glide, you are my glowing guide.” Despite its production delays, Tunguska Tydfil was well worth the wait.